Nearly two years since construction first started, two companies have joined forces to complete phase two of the San Pedro Police Barracks. After an extended hiatus, construction has resumed to complete the long-awaited two story building. Once finished, the new housing should improve the living conditions of our current police officers, and may even mean more officers on the island. The building in question has been the subject of many stories printed in The San Pedro Sun. From the original contractor declaring a shortage of funds, to delays due to medical issues and a lack of volunteer support, to questions regarding appropriation of funds donated by both the Ministry of National Security and the local business community, the barracks remain unfinished. 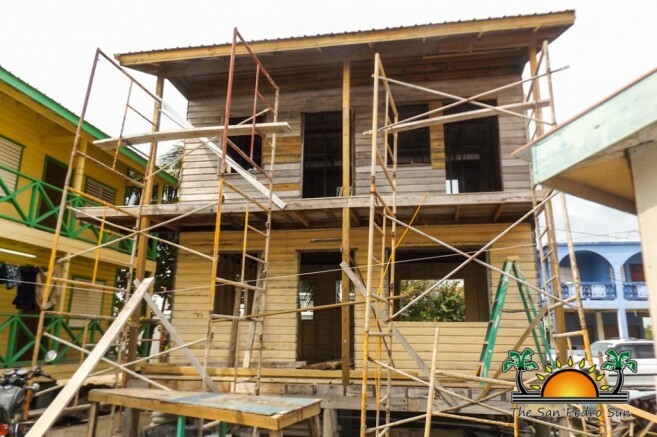 Some of the material being used to build the new barracks was to have come from the buildings that had been used to house the Belize Coast Guard on their temporary island compound. After the new Belize Coast Guard base was completed on southern Ambergris Caye in December 2012, the buildings were donated to the San Pedro Police Department by the San Pedro Business Association (SPBA) with the intention that they be used for police barracks. 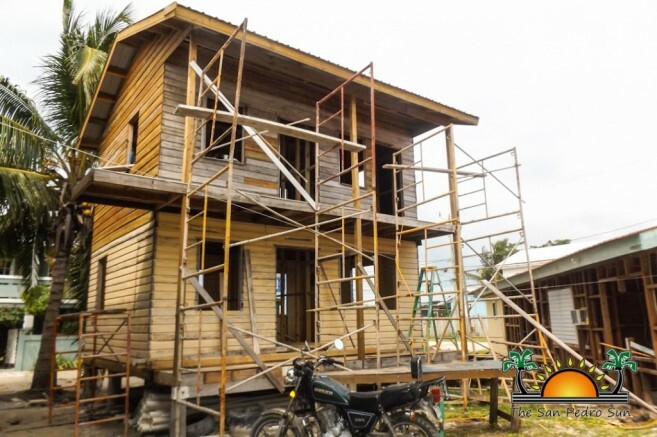 SPBA members were fully prepared to move the buildings to their new location, but the newly elected San Pedro Town Council indicated that they would take care of the matter, and thus handed over the construction responsibility to Gaby’s Construction, operated by Councilor Gabriel Nuñez. At the time, Nuñez indicated that the buildings were not up to standard, but portions of them could be used in the construction. On August 13, 2014, Nuñez indicated that a much-anticipated $50,000 donation had been made by the Ministry of National Security to be used for Phase 2 of the barracks construction. In October of 2014, the foundation and first floor walls were constructed, and then work came to a halt. Contractor and Deputy Mayor at that time, Gabriel ‘Gaby’ Nuñez, blamed the interruption of work on the delay of materials from the mainland. Works were to resume in the first week of 2015. That never happened. The funds were apparently used for the purchase of construction material, but that an additional $8,000-$10,000 was needed to fully complete the building to standards. Despite the shortage, Nuñez declared that once construction resumed, the building would be ready in less than two months. On August 26, 2015, construction was reported to have resumed. Coincidentally, it was during the same time that Honorable John Salvidar, Minister of National Security made an official visit to the island. After Saldivar left the island, works stopped once again, with contractor Gaby Nuñez indicating that the work could only progress through voluntary service. He also reiterated the need for more funds to complete the building. 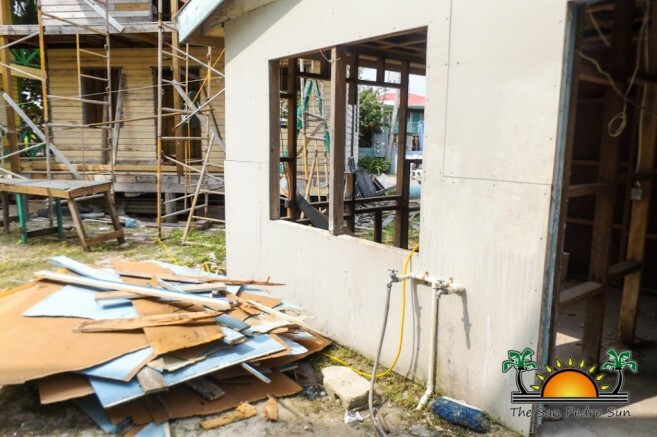 According to Mayor Daniel Guerrero, before the construction started on the barracks, part of the donation by the Ministry of National Security were used to dismantle the facilities that were brought from the old Belize Coast Guard compound to the police grounds. Guerrero emphasized that the funds were never enough. Now it is the beginning of 2016, and works on the barracks are reportedly resuming. The San Pedro Town Council and Mayor Guerrero are indicating that, in order to finish the barracks, the assistance of the entire community is still needed. “The building is finally getting there now. Gaby’s Construction is taking care of the two-story building, and we also have Graniel’s doing the lower section of the other buildings. The funds provided by government have been used towards the completion of the barracks, and now through donations and other means, the construction is continuing,” said Guerrero. He added that at some point when more help is needed, the Town Board will help through fundraising activities on the island to finally complete the barracks. Doors and windows have been kindly donated, and in the coming week, local authorities will be sitting down to discuss what else is needed to complete the barracks and when completion is actually expected. The Deputy Officer in Charge at the San Pedro Police Formation Henry Jemmott feels very confident about the progress of the building, which according to him is at about 60%. 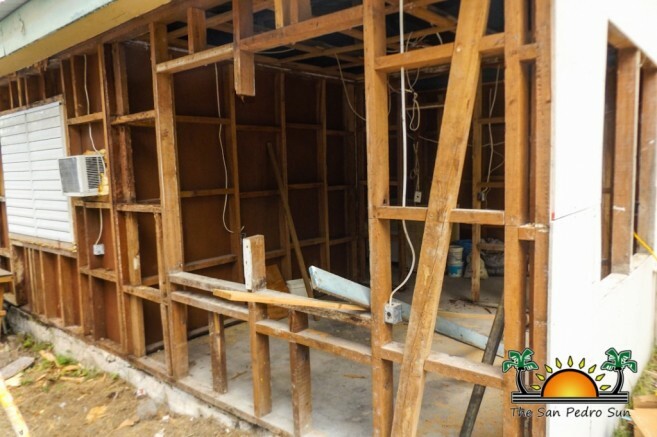 Anyone wanting to contribute financially or in-kind to the completion is free to do so by visiting the Police Station or the offices of the San Pedro Town Council on Barrier Reef Drive.